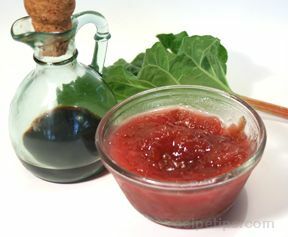 A sweet sauce with a mild tart flavor that goes well with pork or chicken to add a fresh flavor to the meat. 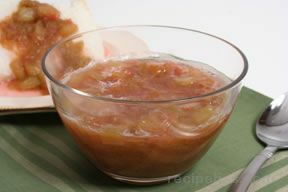 Over medium heat, place water, sugar, vinegar, and ginger in sauce pan. 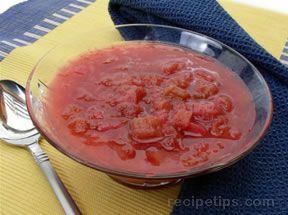 Bring to a boil and cook uncovered approximately 3 to 4 minutes. 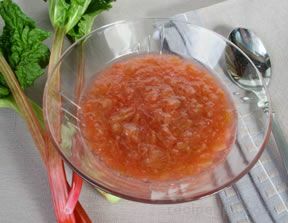 Add rhubarb and cook until tender, about 5-6 minutes. Remove from heat and cool.